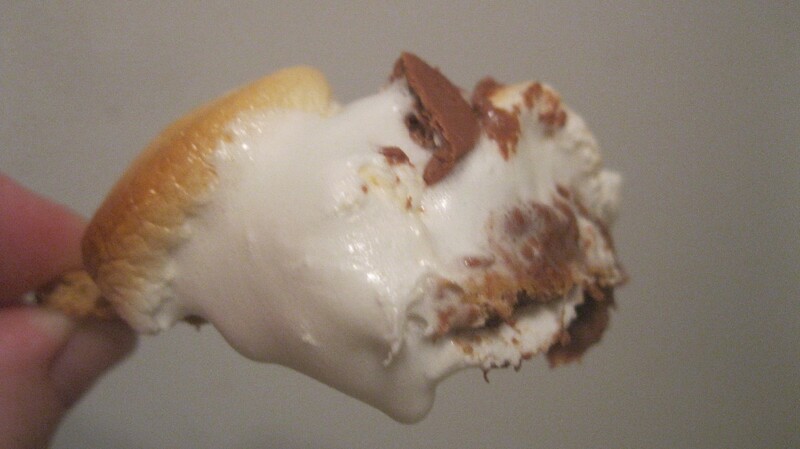 We love s'mores in our house but hate waiting all year for the summer to roast marshmallows. We sometimes microwave the chocolate and marshmallow, but you don't get that nice crust that you'd get from roasting them. I discovered a bunch of recipes on pinterest for this dip. 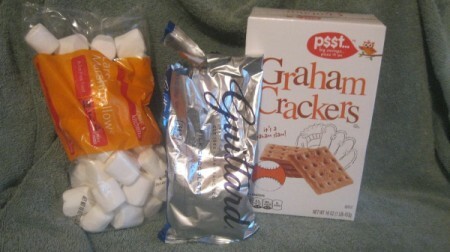 It is so quick and easy, and delicious! Yield: Enough to feed a few people. 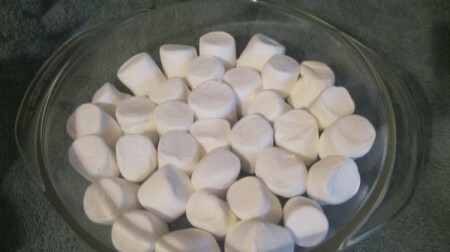 1 1/2 cup chocolate chips, any type you like: milk, semi-sweet, etc. 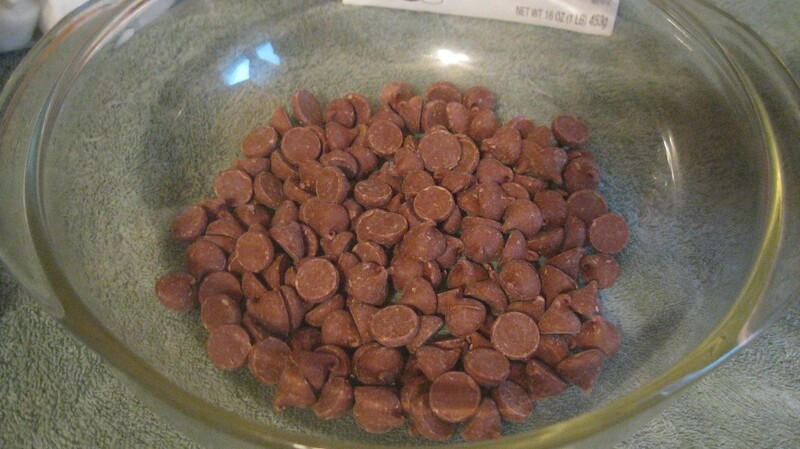 Place chocolate chips in an oven-safe bowl. Depending on the size of your dish, you may want to add more or less of the chocolate chips. Whatever looks right to you. Some recipes call for baking the dip in a skillet. 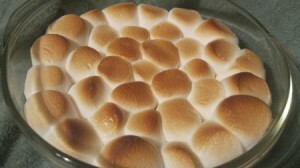 I just used a Pyrex bowl. You could grease it, if you are worried. I didn't. I just let the bowl soak for an hour or so and it washed right out. (There wasn't much dip left! hee hee). Put marshmallows on top. I like the tops facing up so they can get all crusty. Once your oven is hot enough, put in the dip. Cook for 5-7 minutes, to your desired brownness level. Let cool for a few minutes. If you serve the dip in your bowl or skillet, it stays gooey longer. But be careful you don't burn yourself on that hot container! Dip your graham crackers in. Enjoy!